Loren's words and Monte's photos combine powerfully. They reveal a city that occasionally breaks your heart but frequently captures it. Amos Walker’s Detroit visits dozens of unforgettable locations from Loren D. Estleman’s Amos Walker series. As Estleman says of Detroit in the preface: "It’s a hard-boiled town, and the crumbling buildings and rusting railroad tracks of the warehouse district, the palaces across the limits in Grosse Pointe, and the black-hole shadows of the Cass Corridor were made to order for a remaindered knight chasing truth through a maze of threats, deceptions, and inconvenient corpses. City and protagonist are cut from the same coarse cloth. They are the series’ two heroes." 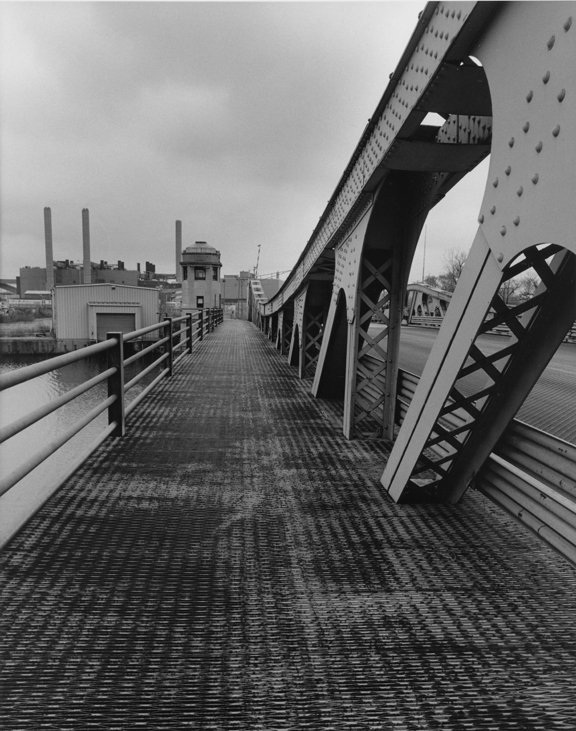 Amos Walker’s Detroit allows Estleman’s settings to take center stage as noted photographer Monte Nagler turns his lens to Estleman’s various noir locations. Some locations are well-known landmarks, like the Renaissance Center, the Wayne County Building, Belle Isle, and Mexicantown, and some are fictional locales such as Walker’s home and office. 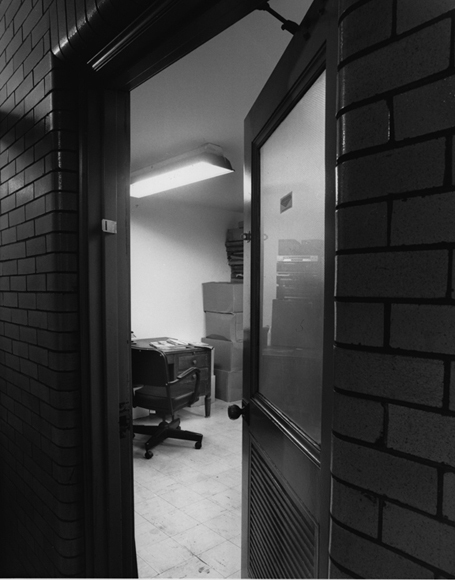 Even when the locations are familiar, Nagler’s lens renders them in fresh and unexpected ways. 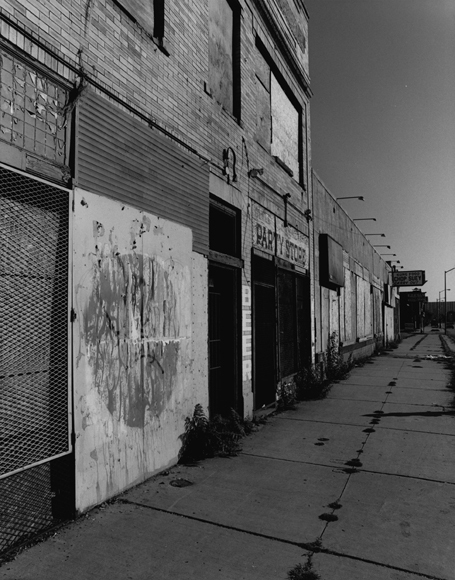 Excerpts from Estleman’s novels describing the locations accompany each image and Estleman’s thoughtful introduction contextualizes the images and comments on the role of Detroit as a noir backdrop. The photographs in Amos Walker’s Detroit show the city in a new light, demonstrating that Detroit’s grit and glamour coexist in unexpected places and make a perfect setting for a mystery. Fans of the Amos Walker series, as well as those interested in photography, architecture, and local culture will appreciate this handsome volume. Loren D. Estleman is author of sixty books, including Writing the Popular Novel, the Spur Award–winning The Undertaker’s Wife, Nicotine Kiss, The Adventures of Johnny Vermillion, and American Detective (the latest Amos Walker novel). He has received seventeen national writing awards and has been nominated for the National Book Award and the Mystery Writers of America Edgar Allan Poe Award. Monte Nagler is an award-winning landscape photographer whose work is found in many private and public collections, including the Detroit Institute of Arts, the Center for Creative Photography in Tucson, the Brooklyn Museum, General Electric, and DaimlerChrysler. A student of Ansel Adams, he is a member of the esteemed Camera Craftsmen of America. He is also a noted writer, lecturer, and teacher of photography, and author of How to Improve Your Photographic Vision, Statements of Light, and Monte Nagler’s Michigan. Amos Walker's view of Detroit, cleverly crafted through the words of Loren Estleman, is unlike any other: candidly earthy, with all the crustiness of a freshly-baked loaf of French bread. Monte Nagler's photos top if off like fine wine, creating a perfect pairing of extraordinary realism." – Colleen Burcar, Detroit radio and television personality and author of Michigan Curiosities and You Know You’re in Michigan When . 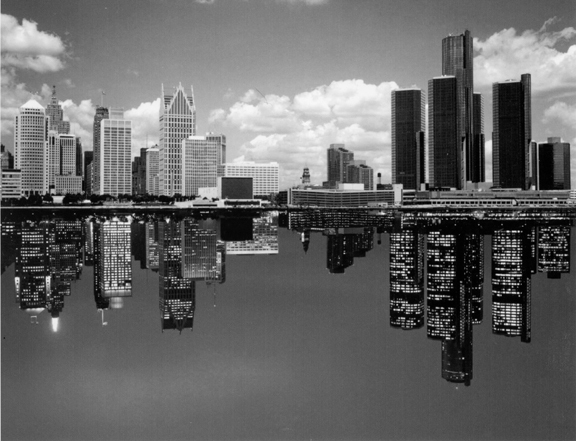 . .
Amos Walker's Detroit is an unalloyed delight, even if Detroit isn't your favorite town. If you're not already an Estleman fan (and everyone in the country should be), this book is a wonderful way to get to know him. Open any page at random and you'll get pith, wit, taste, wisdom, or a chuckle, and probably all of the above. And the best news is that Estleman already has a brilliant series of Amos Walker books out there, every one of them a gem." Loren's words and Monte's photos combine powerfully. 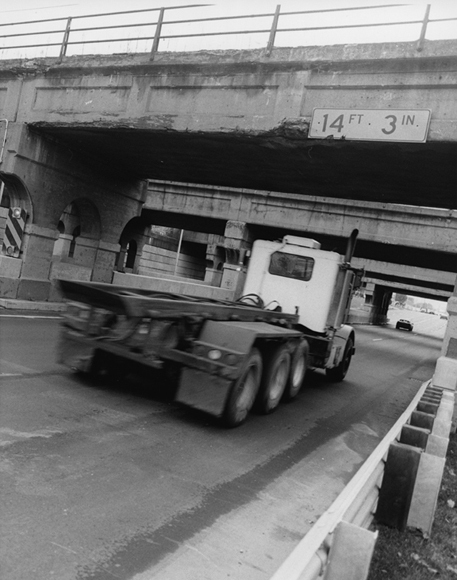 They reveal a city that occasionally breaks your heart but frequently captures it." Those who know Detroit will shake their heads in amazement at the photos and copy, thinking he's dead-on accurate. Those who don't know Detroit will shake their heads in amazement and the photos and copy, believing he's dead-on accurate. With Nagler, both men make their case – and win it – that Detroit is the ideal noir backdrop for Amos Walker."